Faces so white they are nearly transparent stare vacantly from the sides of hundreds of varieties of creams, lotions, soaps, scrubs and bleaches in supermarket beauty aisles across Indonesia. Those same faces stare out from advertisements in magazines, on billboards, on the sides of buses and on television – all proclaiming the benefits of lighter coloured skin. Promotions for skin whitening products are targeted squarely at Indonesia’s urban aspirational classes. Young university women represent a key market segment. Advertisements portray the kinds of lives they aspire to and free samples are handed out at universities. Many university-aged women believe that regular use of skin whitening products makes them more attractive. But not all are enthusiastic. Some women are concerned about potentially damaging side effects of the products themselves. Many more reject the industry’s message that women can’t succeed in their careers or their love lives without altering their physical image. When asked to define the consumer market for skin whitening, university students I spoke to described the majority of users as teenagers and young women aged between 15 and 25. Laughing, a pair of English language students explained that skin whitening products are used by teenage girls to attract boys’ attention. ‘They do it so they have brighter looking faces, like in advertisements of pretty teenagers and women who use skin whitening.’ Students also mentioned the growing use of skin whitening by older women as a form of anti-aging therapy. Many university-aged women believe that regular use of skin whitening products makes them more attractive. Even those young people who embrace skin whitening have concerns about its long-term effects. Most skin whitening products contain mercury or hydroquinone, two seriously damaging chemicals. Mercury, a common ingredient in skin whitening creams in Asia, strips the skin of its natural pigment. It is also a poison known to cause liver and kidney damage, which can also lead to neurological disorders. Hydroquinone, a chemical used in photo processing, has been shown to cause cancer in lab animals. Ironically, both chemicals also react with ultra-violet rays and re-oxidise, leading to more skin-darkening pigmentation and premature aging. More of the product is then needed to alter the response, which changes the skin’s natural structure and inhibits the production of melatonin, making the skin more susceptible to skin cancer. Some young women are acutely aware of the risks and side-effects of skin whitening products. According to one sceptical student, the skin whitening process is on the whole ineffective. ‘I think it doesn’t work to make you white, it’s just lies. But if whiteness results, it is because of the mercury or other dangerous substances.’ Many students also discussed their concern for the side- or after- effects of skin whitening products, mentioning their concern for flecking, reddening and the possibility of faster aging and cancer. Some also mentioned a potentially addictive pattern of skin whitening product use – the product makes the skin more sensitive to the sun and therefore more likely to darken, actually increasing the need for more whitening. Some students rejected outright the notion that whiteness defines beauty. Tessa Toumbourou (tdtou1@student.monash.edu.au) is an Arts graduate with a politics major. She recently completed a Diploma of Indonesian Language in-country at Universitas Gadjah Mada, Yogyakarta, and will continue living in Yogya on a Darmasiswa scholarship studying at Indonesian College of Arts (ISI). Many indonesian store here in hongkong still selling natural 99 vit.e plus.is this safe to use?as I have read that it have warning not to use,so why this product stil exist when it is harmful 2 d body? Barack Obama’s inauguration as the nation’s first African-American president got a lot in this country thinking and talking about race. Obama’s triumph proved that any child can dream of becoming president, regardless of skin color. We in America may have reaffirmed the notion that the color of a person’s skin shouldn’t matter. But for many people across Asia, the color of skin matters a lot. In recent years, “skin whitening” has become a huge industry in countries like China, Korea, Japan, and India. “The World’s” Phillip Martin has been exploring the phenomenon of skin whitening in Asia and has this report. Whitening regimes like transamine are offered in creams, pills, and injections and with laser treatments. But not everyone can afford them — so a growing number of poor Asian women are using illegal products containing toxic chemicals that have left some of them disfigured. 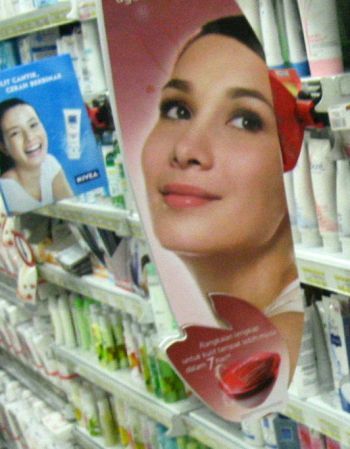 Even some government-sanctioned skin whitening products contain high levels of toxic mercury. But this has not stemmed the practice in places like Taiwan, where more than 50 percent of women and a smaller but growing proportion of men pay big money to lighten their beige, tan, and golden complexions. One survey by Synovate found that 4 out of 10 women in Hong Kong, Malaysia, the Philippines and South Korea used a skin-whitening cream. More than 60 global companies are competing for a share of Asia’s estimated $18 billion dollar market. That ancient ideal has been reinforced by modern Western culture. And it can be seen in the faces of Western models gazing from the giant billboards along the route of the commuter train that snakes through downtown Tokyo. The billboards also include white-skinned Asians with porcelain colored faces. Across Asia, the pressure to be white is pushed by relentless advertising, from Japan to Korea to India. This ad for skin whitening products features one of India’s biggest movie stars: Shah Rukh Khan – who says that you, too, can be successful in life and love if your skin color is a lighter shade of pale. Indeed. Of the more than 200 personal ads I surveyed online, 192 Indian men and women either described themselves as fair skinned or said they were looking for a partner who was. It’s a common desire across Asia. On the streets of Beijing, with translation assistance from a young writer, Mia Lee, a reddish-hued migrant worker from Central China was asked what he thought was the secret to happiness. He wants a girlfriend with pale skin. PRI’s “The World” is a one-hour, weekday radio news magazine offering a mix of news, features, interviews, and music from around the globe. “The World” is a co-production of the BBC World Service, PRI and WGBH Boston. TRUE! 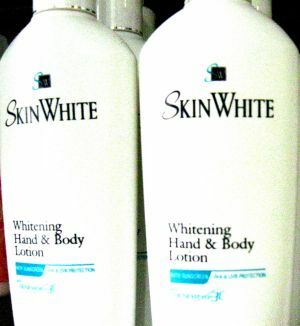 Skin whitening is such a hit here in ASIA especially in the Philippines. almost everyone wants to get lighter skin.. Regardless to whether its a male or a female..
Hmmm.. no wonder a lot of investors invested their money on bringing in cosmetic products.. you might want to check out my site.. there’s this one product that i am positively sure of its safety and effectivity.. really amazing once you come to think of it..